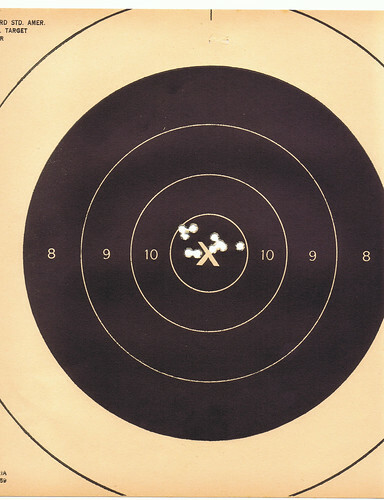 I went to 4-H Shooting Sports club with my son today, and shot a .22 rifle for the first time in 30 years. 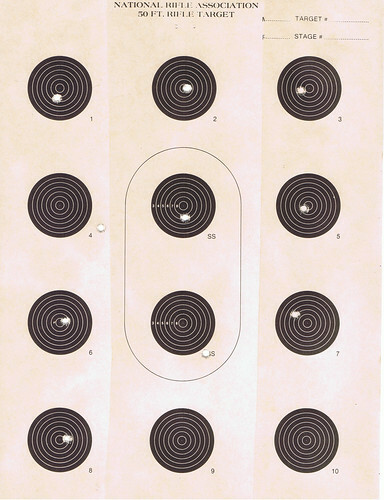 Once I got the rifle sighted in, 4 of 10 were within a bullet's diameter of where I wanted to put them, and on the single target, all were within the innermost circle. Gun control means hitting your target! w00t!